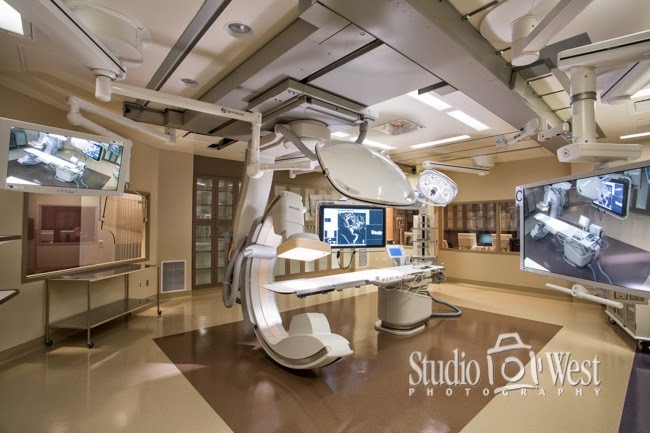 I just finished photographing the new hybrid surgical suite at French Hospital, San Luis Obispo, CA, for Studio Design Group Architects (SDG). 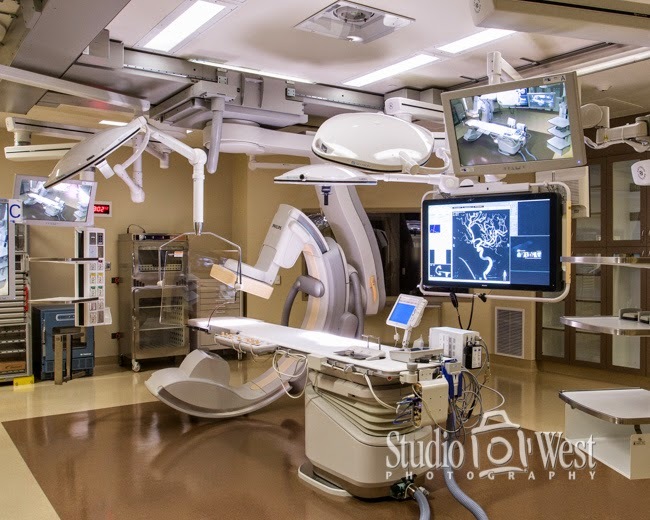 The first of its kind between San Francisco and LA, hybrid surgical suites are the next generation of healthcare delivery allowing for multiple procedures at one time, saving the patient time and the benefit of collaborative talents between physician specialties. Physicians can address patient needs quickly, eliminating the need for scheduling additional surgical procedures and allowing for minimally invasive procedures. 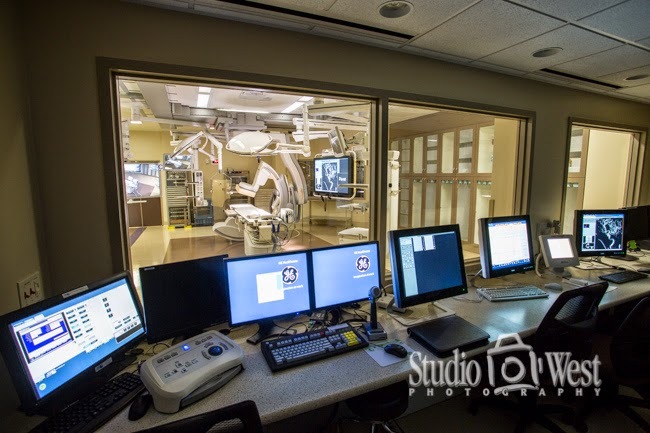 The co-location of multiple specialties also removes the need to move the patient from one space to another in the event of a complication that requires transition from an interventional procedure to open surgery. The ceiling is a tidy mess of heavy arms, tracks, hanging monitors and lights. 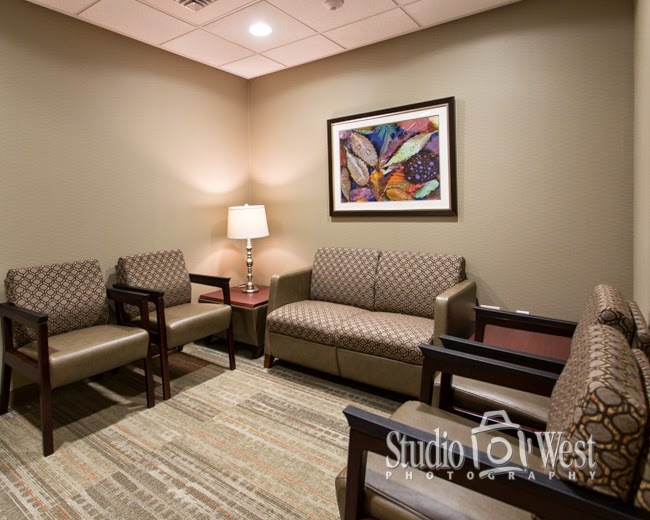 The new suite has its own warm and comfortable waiting room.